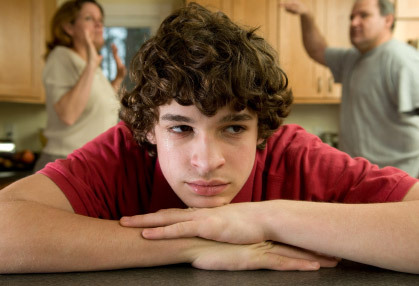 Parent's Support for Troubled Teens | C.A.R.E. Your troubled teens are seeking independence but you still need to know where they are going and who they will be with. Don’t assume every “teen” activity is properly supervised or safe unless you have chaperoned it or have otherwise satisfied yourself. All kids want a little fun, adventure and to “hang out” with their peers. Call C.A.R.E. at 866-492-9215 for further assistance with your troubled teen. If your teenager is like most, he or she is pulling away from the family, and spending more and more time with friends. Obviously at this point, they have more interests in common with people their own age than they do with you, so don't take it personally. Besides, teenagers are in a struggle for independence from their parents so they want to be with their peers, who are in the same struggle. As your teen is working out who he or she is, they are checking out new ways to dress and act and talk. Naturally, they want to be with others who are going through the same experimental time. If you're concerned about the hours they spend with friends, here's a general rule: don't let it become a problem unless it is a problem. Sound contradictory? If a teenager is spending all her free time with friends, but still keeping her grades up and doing her household chores, maybe there is no problem. If your son is always with friends but still keeps up his responsibilities and is still playing on the football team or other activities, there might be no reason to worry. If the worst problem that arises is your teenager tying up the family phone, put a limit on it. Or put in a second line at your teenager's expense if they have an income or allowance that will cover it. Some parents have noticed that, while driving in the car together, their teens tend to open up. Maybe it's the side-by-side, rather than face-to-face aspect of driving that makes talking easier. Take advantage of it by keeping the radio low or off (though most teens want the radio on, tuned to their stations, of course). If you've noticed a change in the group your son or daughter hangs out with, this could be a good time to mention it without pressing, as in, "hey, whatever happened to Dave? I haven't seen him around for awhile." You might be pleasantly surprised if your daughter tells you she stopped hanging around with Cindy because Cindy smokes and your daughter doesn't like the smell. On the other hand, you might hear that your son is avoiding certain friends because they think they're better than him. If old friends suddenly seem like a bunch of goody-two-shoes to your son, chances are he's doing something they disapprove of. In fact, it might be that they are the ones avoiding him, instead of vice versa. In that case, it's time to take a long drive. Getting time with your teenager might not be easy, but when you get it, make the best use of it by listening more than talking. For Further help with your struggling teen Please call C.A.R.E. at 866-492-9215. We have Options that can help you and your troubled teen.